It's attention to detail which makes Ravensburger the world's greatest puzzle brand. 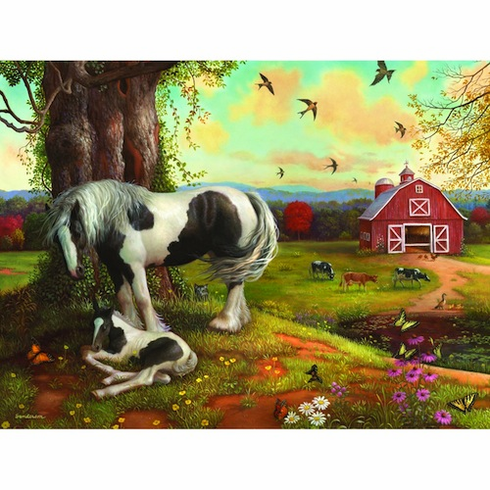 They use an exclusively developed, extra-thick cardboard and combine this with a fine, linen-structured paper to create a glare-free puzzle image for a quality you can feel. Their steel cutting tools are designed and crafted by hand. This ensures that no two pieces are alike and guarantees a perfect interlocking fit. Finished Puzzle Size: 27" x 20"